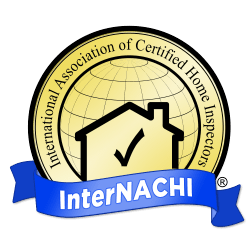 Whether you are buying or selling a home you should always incorporate the services of a home inspector that is certified by the International Association of Certified Home Inspectors (InterNACHI). That is why I have worked hard to become a member of InterNACHI and I promise to provide you with excellent unbiased service. Don’t settle for anything less than an InterNACHI Certified Home Inspector. If you need a home inspection performed in Salisbury or the surrounding areas (20 miles), call or e-mail me. Contact me now to schedule your inspection! If you have any questions about how a home inspection works, check my FAQ page or shoot me an e-mail or phone call so I can help you. Talk to you soon. Gary Bullard Construction and Home Inspections has been serving Delmarva for 6 years! Contact us today for an estimate or to schedule an inspection.